There are different opened internships in Pakistan and I will give the short introduction and link to the internship, which will be pasted. You need to apply for every internship program and I will encourage you to apply for every program. You do not just depend on one program but there are many chances of the opened summer internship program for the individuals. It is rightly said that first learn then earn. It is time to learn and get some experience from one of these opportunities and the list of the following open internships and jobs, which are given below. The applications are received for TCS Pakistan Paid Summer Internship Program 2018. TCS Courier is the Pakistani courier service company, which has the headquarters in Karachi. This is the paid internship, which may lead to permanent employment in future. The undergraduate students are encouraged to apply. 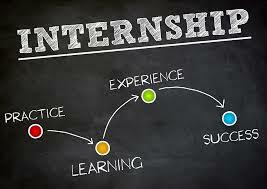 Paid Internships may lead to permanent employment in future. Bank Al-Habib offers the Bank Al-Habib graduate trainee officer 2018 in all big cities of Pakistan and the primary responsibilities of the trainee is to work in branch banking / departments / divisions to meet the service standards of the bank. Meezan Bank announces the vacancy for Meezan Bank cash officers jobs 2018 in different cities of the country. Graduation (bachelors or masters) from HEC recognized university / colleges with 14 years of education and 45% or above throughout academic career (matriculation and above). 35 + posts are available. The link is given as under. Bank Islami offers the trainee customer relationship office in various cities of Pakistan. Locations: Lahore, Karachi, Islamabad, Multan, Faisalabad and Peshawar. Qualification: MBA / MS / BBA / BS with the concentration in Finance. Zong 4 G graduate trainee program is the exclusive talent development program launched by CMPak Zong and it is designed for talented fresh graduates, who want to become the future leaders at Zong. Education: Fresh graduates with following degrees are eligible to apply: BBA / MBA, Bachelors / Masters of Engineering (Telecom / Electrical / Electronics), bachelors / masters of information technology or equivalent. MBA or 4 years of bachelor degree in marketing, Human Resource, Supply Chain and accounts and finance. The fresh graduates or 1 year experience are required. The range of the salary will be 25,000 to 30,000. The platinum communication in Lahore offers the Management Trainee Officer job vacancy in Lahore. 20,000 – 40,000 PKR depending upon experience.